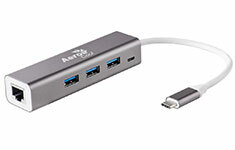 The Aerocool Alfa USB Type-C Multifunction Hub allows you to transfer data, video, connect to LAN, and sync your devices all at the same time from a single USB Type-C port. 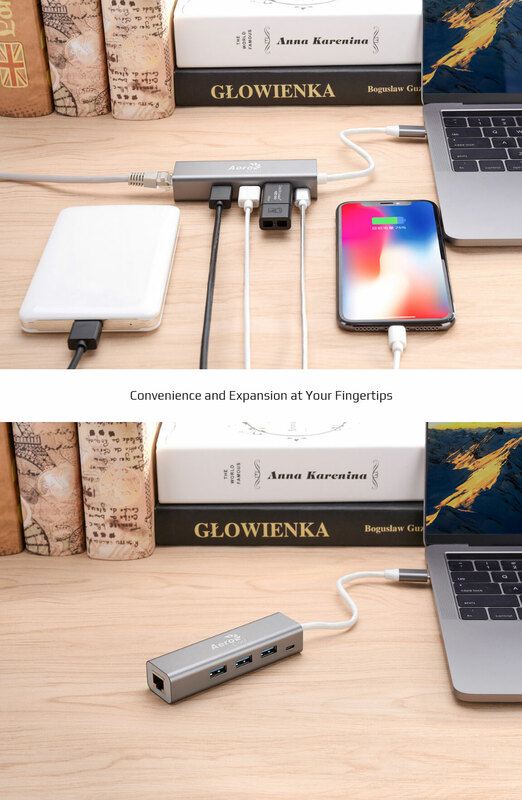 This hub provides 3 USB 3.0 ports for your USB devices and one Ethernet port to connect your device to a network or Internet connection. To support power hungry USB devices you can input additional DC power through the Micro USB port using a cable and charger (not included).